Disclosure: The contents published in this blog may have affiliate links. We might get affiliate commission at no extra cost to you when you buy from this site. Please, be informed that I only recommend products and services that will bring value to you. Getting kids to do chores is a tough job. But you have to teach them personal responsibilities and basic life skills at a young age. 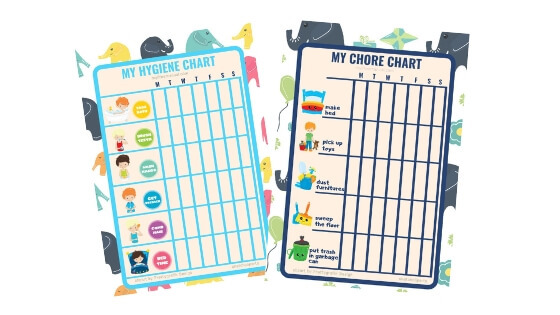 Use the Chore Chart for kids to encourage them to do chores without a fight. 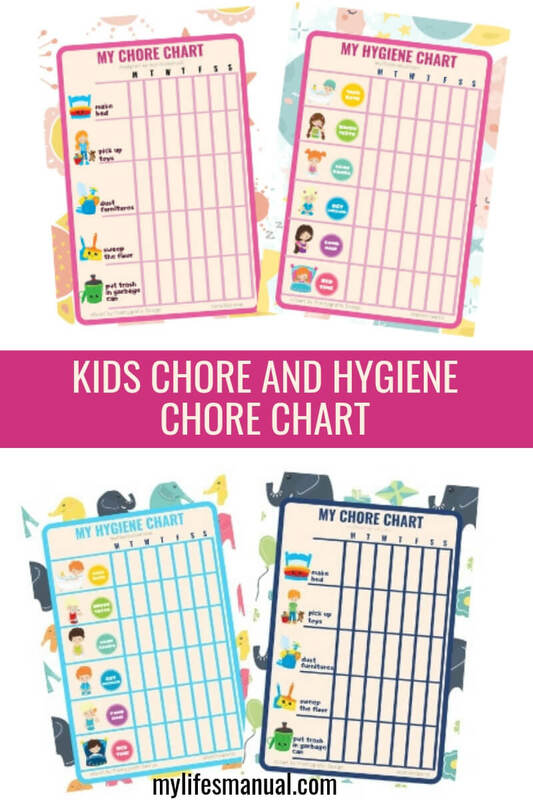 Cute Chore printables will make it more fun for kids to finish their responsibilities. 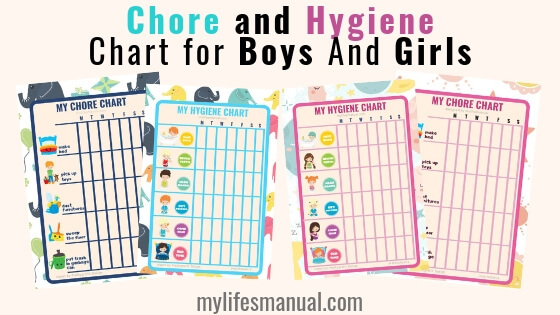 Today, you can download these chore printable set for free. 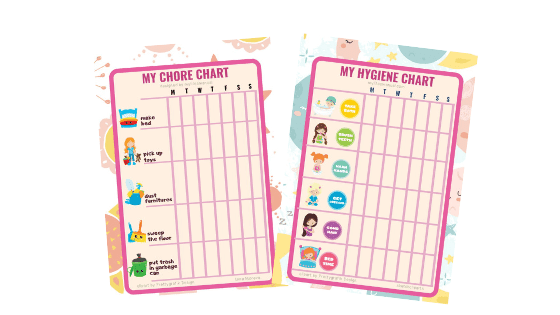 We also included a hygiene chart. These printables are also available in aqua and dark blue.